As I write this on the eve of Yom Kippur, I would like to do two things. First is give a brief overview for those who don’t know much about the holiday, and the second is share some of my own personal thoughts and introspection of this very important day. Yom Kippur is the holiest day on the Jewish calendar. 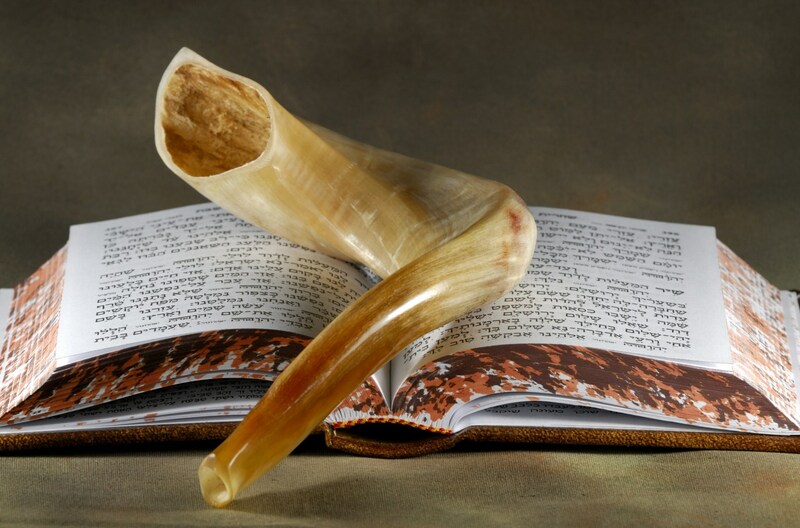 It is the culmination of a 10 day period that begins on Rosh Hashana, the Jewish New Year. This 10 period, known as the 10 Days of Repentance, is the time we are judged by God and based on what we have done till now, and the degree of penitence we show, our future year is determined. The book opens for each person as Rosh Hashana begins, and closes as Yom Kippur ends. 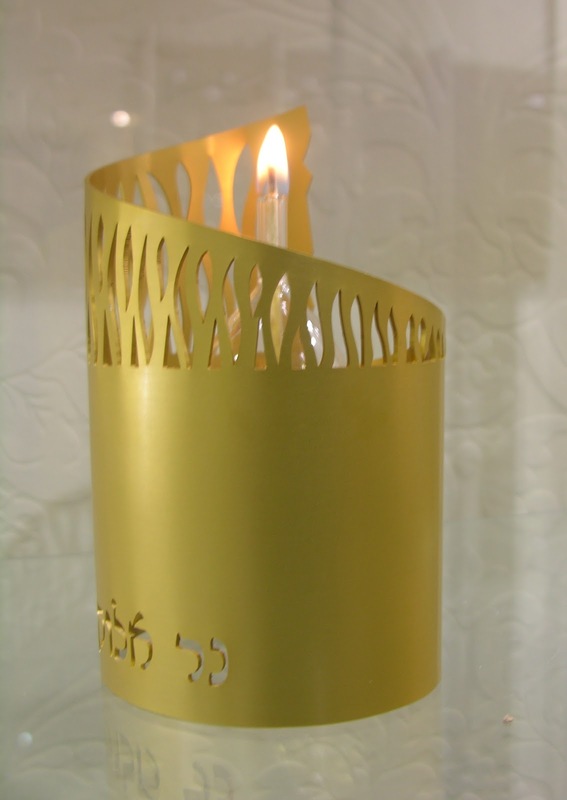 Jewish people even greet each other in this time with the phrase that conveys the wish that one will be written and inscribed for a good year. We fast, which is not just food but liquid as well, for 25 hours, as it begins around the time of sunset and ends the following day at darkness. The fasting is part of the prohibition of anything that involves what is considered earthly pleasures, such as physical intimacy and the wearing of any leather, particularly leather shoes. The idea is that we should be so connected with our spiritual connection to God that we should put ourselves in a position where we won’t be distracted by the pleasures and physical needs we have on most other days. There are 2 days in the Jewish calendar when we are required to fast for 25 hours. One is the 9th Day of Av, which is widely accepted as the saddest day of the Jewish year, and the other is Yom Kippur, the most solemn day of the Jewish year. I once heard a Rabbi say the following when speaking of these 2 days and the law of fasting. On the 9th of Av who would want to eat knowing how sad it is and on Yom Kippur who is able to eat knowing what’s at stake? As I like to say about Yom Kippur, it’s for all the marbles. Although I accept the points I’ve shared till now, I wish to share my own personal perspective, a perspective I am fairly certain was probably shared by someone much greater than I will ever be a long time ago. As scary as Yom Kippur is, and as important and solemn as the day is, it is also the greatest day of the year, for it represents the greatest gift from God. That gift is opportunity. The opportunity to stop and reflect with an open heart, to ask your fellow human being for forgiveness, and most of all to ask God to allow you to start over and put your mistakes behind you. It’s a wonderful and beautiful concept, and as the sun sets tomorrow, as awestruck as I will be, I will also be grateful. Grateful for another chance. To all those who do, I wish you an easy fast, and to all of you I wish you the happiest, healthiest and safest days ahead. Recently I found myself more frequently engaged in discussion about the event that not so long ago changed everything. That turning point in one’s life that impacts how one thinks and even acts, very possibly for the rest of their lives. Although, as in this case, it is so often a tragedy, it can also be such a positive paradigm shift that it not only remakes the tragedy, but occasionally makes you feel a debt of gratitude to the victims. The tragedy I am referring to is the kidnapping and subsequent murder of Naftali Frenkel, Eyal Yifrach, and Gilad Shaar. So much has been written about the impact their loss had on the events that took place in the weeks that followed. The evidence that Hamas was responsible for their murder, together with the ongoing barrage of rockets being fired into Israel, was the motivating force for Israel’s operation into Gaza this past summer. As we know, the operation uncovered the terror tunnels built by Hamas to carry out potentially devastating terrorist attacks. It’s widely been recognized, even by Naftali Frenkel’s mother, that the death of the boys, as tragic as it was, saved many lives. That was the immediate impact. What we don’t know yet is the impact their deaths will have moving forward based on the residual effect of the events that have taken place. We will learn that as time goes on. What I do know right now however, is the profound effect the tragedy had on me personally and many like me. There is a major difference between turning to hate and no longer being tolerant of evil. Granted it is sometimes hard to distinguish between the two, but doing so is important. Baseless hatred and anger can be and often is more destructive than beneficial. However, being aware of what is happening around you, recognizing the truth no matter how harsh it may be, and knowing who your enemies are is something positive that can save lives today and in the future. Tolerance for one’s enemy is not a good quality. It’s dangerous, even life threatening. Being a moderate in this day and age is a luxury we can no longer afford. It is something I once was and now no longer am. That ended when the boys were found dead. When they were declared kidnapped I became involved like so many others did, getting behind the rallying cry of “Bring back our boys”. When they were found murdered, I had finally had enough. My limit of tolerance had been exceeded and I was changed for what I believe is most likely forever. 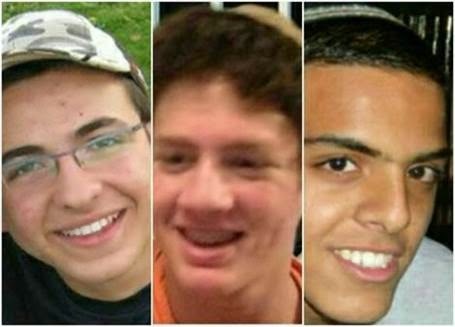 The Jewish High Holidays make many of us extremely reflective, and when I reflected on the change that had taken place in me as a result of these boys deaths, as sad as the event made me, I came to the conclusion that it made me a better person. It made me care a lot more about the well-being of others as opposed to primarily caring about myself. It made everything my parents taught me growing up blend together in a way it never had till now. It made me feel that I no longer am happy not being part of the problem. Now I want to be part of the solution. I want to be one more voice for Israel and the Jewish people. I want to be one more voice for humanity, for what is right. When I reflected on this over Rosh Hashana, I wanted to thank these 3 young men for having such a profound impact on my life. Unfortunately, as we all know, I’ll never be able to express my gratitude to them directly. But what I can do is tell their mothers and fathers that in more ways than they can imagine, their boys changed the world. They changed my world. They made me and so many others care more about the things that are really important. Their lives were far too short, but their lives had such deep meaning, and because of that they will never be forgotten. Because their deaths caused others like myself to become better people, it may translate into saving more lives down the road, and I can’t imagine a better way to honor their memory and to bless their souls. This is a post I was reluctant to write because it poses a question I am so hesitant to ask. Let me start by saying this. To my brothers and sisters in Israel, if your nerves are on edge and the suggestion of something terrifying will be unpleasant for you to read, please stop reading this now and move on to something else. It’s the question people are afraid to ask, but needs to be addressed. Now that we know of the terror tunnels that exist from Gaza to Southern Israel, how do we know that similar tunnels are not being built to Israel’s north and to Israel’s east? 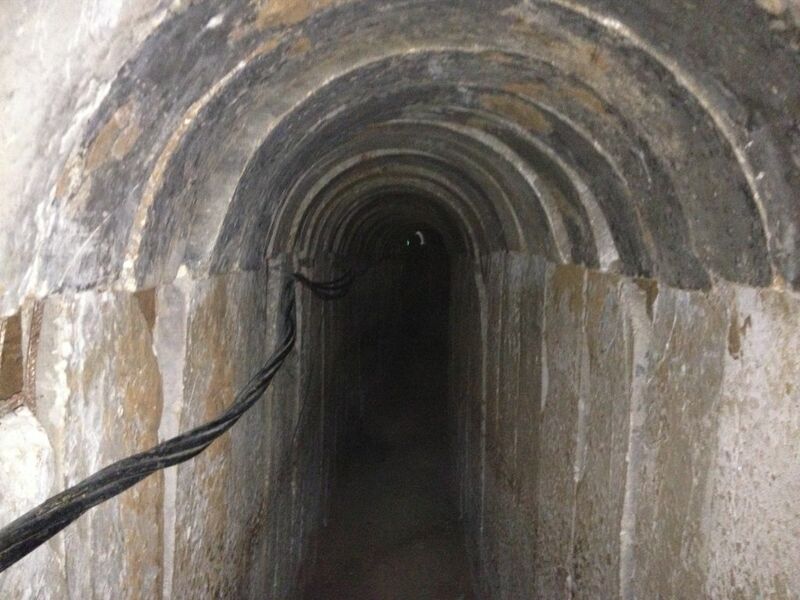 The news out of Israel now is that recently captured Hamas terrorists revealed a plot to send terrorists trough these tunnels this coming Rosh Hashana, just under 2 months from now and murder and kidnap as many Israelis as possible. Israel is surrounded by people committed to her destruction and to think that it is not at least a reasonable possibility that there are tunnels on other borders would be irresponsibly naive. I posed the question to an Israeli family member of mine and his response was quick and succinct. He basically believes the Israeli government now assumes, as does he, that terror tunnels are being or have been built on other borders as well. Let me be very clear. I am proposing a question, not providing verified information. But knowing the barbarism of the enemy, and understanding that the enemy is on more than just one front, to ignore the possibility could be devastating. It must be emphasized and can’t be said enough, that despite the horrific tragedy of the kidnapping and murder of the 3 Yeshiva boys, their death has come to have incredible meaning. Their murders triggered this campaign that discovered this evil plot to kill thousands of Jewish residents of southern Israel. The lives saved by their deaths is something quite astounding and makes their memory even more special to everyone. On September 16 I wrote a piece about the tragic death of Ari & Sari Horowitz who had been struck by a car and killed on the way home from synagogue earlier that day, the day before Rosh Hashana, the Jewish New Year. Today I was contacted by Ari’s cousin who sent me a copy of his very moving words spoken at the funeral in Israel. Scroll down to the comments to read this moving eulogy. My thanks to Yoni Reif and my deepest condolences for your loss.